Tractor mounted water well drilling rigs, also known as the names, truck mounted water well drilling rigs and trailer mounted water well drilling rigs, is a kind of water well drilling rigs with simple operation, convenient transportation and high working efficiency. 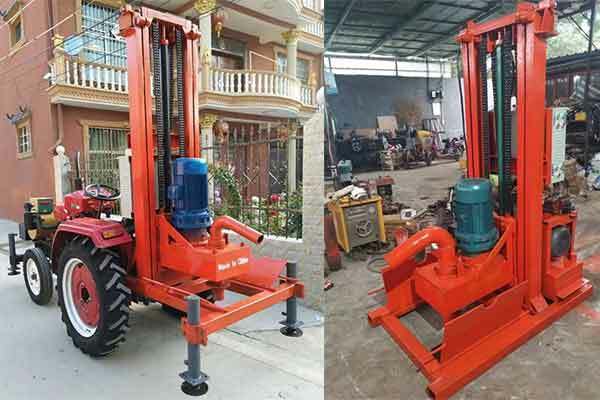 There are few types of tractor mounted water well drilling rigs for sale in Yugong Machinery. They can be widely used, such as, well drilling, geological survey and exploration, river embankment grouting hole drilling and direct grouting, road and high-rise building foundation exploration, etc… Different models are suitable for different drilling projects. So you can tell us your project type, drilling depth and geological situation when you send us an inquiry, and we will propose the most suitable machine. 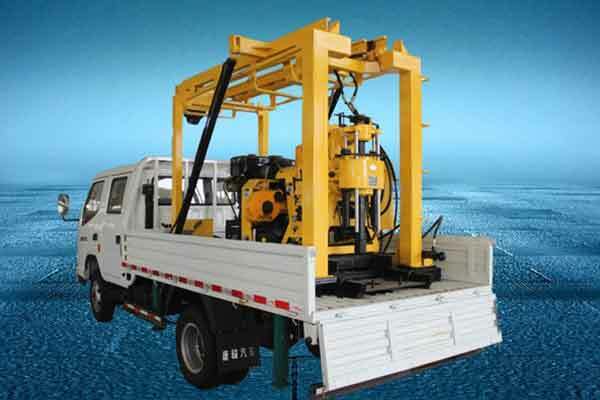 XYC series truck mounted water well drilling rigs is also a kind of core drilling machine which is suitable not only for well drilling but also for various types of geological exploration. This series of drilling rigs is designed to meet the requirements of high speed, high efficiency and strong mobility of field drilling. The machine is reasonable in structure, simple in operation, easy in maintenance and transportation, which is a cost-effective drilling equipment. 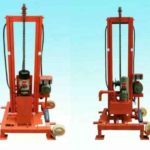 The XYC series drilling rig machines include several models, among which the XYC-130A/180A/200A is a tricycle water drilling rig, and the XYC-200GT and XYC-3 are two more efficient core drilling rig machine. The XYC-3 can reach a drilling depth of 600m and the open hole diameter from 75mm to 300mm. 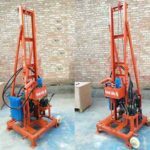 The HY-500 tractor mounted water well drilling rigs for sale is a kind of electric hydraulic well drilling machine, which has stable performance and high working efficiency. In addition, the price is very reasonable and will never exceed your budget. The maximum drilling depth of this machine can reach 120m with the maximum opening hole diameter of 500mm. It is suitable for both soft soil and hard rock geology, but should be equipped with different drill bits. If the model can meet your drilling needs, please click the inquiry button below the technical parameter to send us enquiry. You can choose to purchase the water well drilling rig separately, or but the rigs and tractor together. 1.High working efficiency can improve drilling speed and reduce construction period. 2.Easy operation that people can easily operate by following the instructions or videos. 3.Convenient maintenance can can reduce maintenance costs and save money. 4.High quality and long service life. 5.Without the third party, the price is very competitive. 6.Various types of drilling machines can meet all kinds of requirements of customers. 7.Safe and fast transportation, best service.